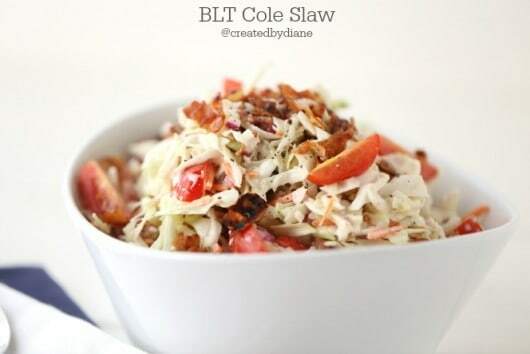 This is not your ordinary coleslaw recipe, and summer is upon us and it is the BEST time to try a NEW RECIPE……so go ahead and try this one. 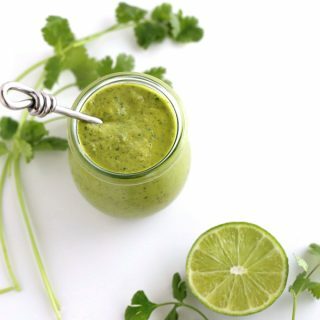 This recipe is KICKED up with great flavor and will be devoured. and it is not to be reckoned with! This will be a HIT at your next BBQ, cookout, picnic or middle of the week hamburger night! I do love that pre-cooked bacon is readily available in stores, it will make this even faster to whip up. But if you aren’t in a hurry and want to cook bacon, this great post on how to bake bacon is sure to help. This will EASILY become everyone’s favorite side dish this summer. 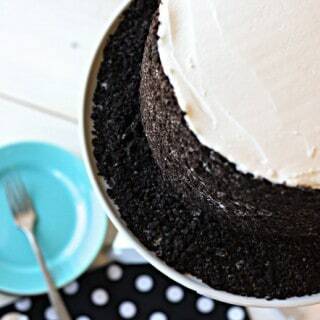 It’s easy to make and tastes OUT of this WORLD DELICIOUS!!! 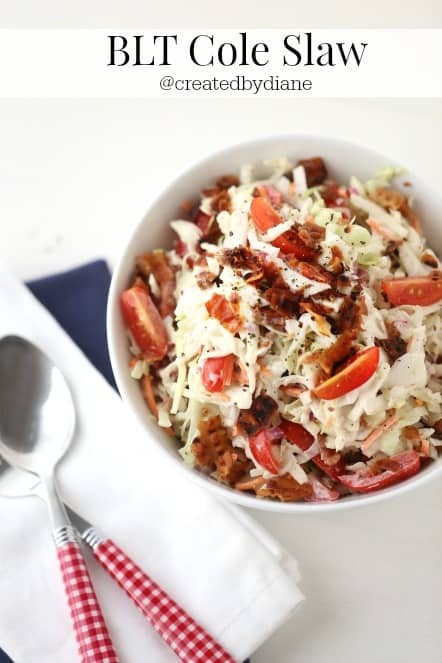 This can be made ahead of time for a cookout or BBQ, just give the bacon and tomato a quick toss when serving to keep the bacon crunchy. 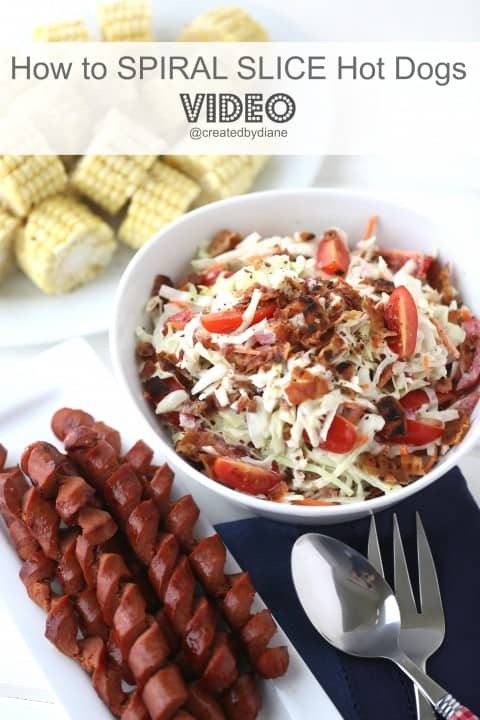 This is perfect with hot dogs, burgers, ribs, and chicken…those are all the favorites of summertime eats and below I’m sharing my Super SIMPLE Summertime Menu that you can whip up in 30 minutes to serve a crowd. Perfect for impromptu get-togethers, last minute cookouts and a great menu to invite your neighbors over to hang out and enjoy the long days of summer with. 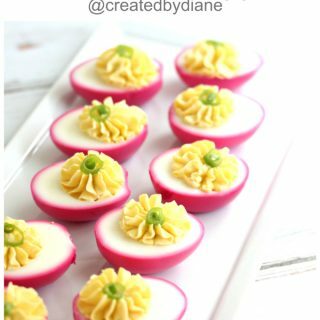 We have a lot of impromptu entertaining at my home, and this is just PERFECT for those times. I spiral sliced hot dogs and cut corn on the cob into small bite-sized pieces and served this all alongside this delicious BLT COLE SLAW along with slices of watermelon. No summer menu is faster or easier to feed a crowd in under 30 minutes. Mix all ingredients together (except bacon and tomato) and blend until the "sauce" coats all the cabbage and onion well. Then stir in tomatoes and bacon, leaving some bacon to top the dish off with for garnish. Chill for 30 minutes for great flavor. 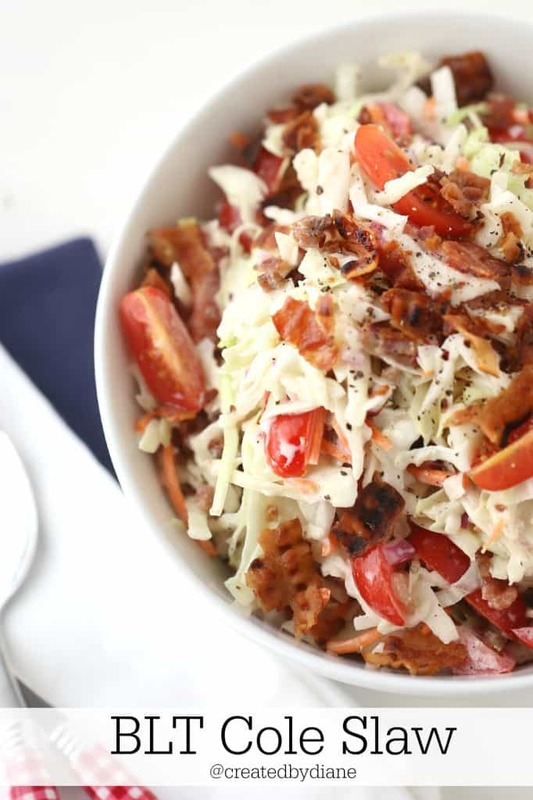 If you are making this ahead of time to bring to a party, you can leave the tomato and bacon on top and toss that in at the last minute for the bacon to stay crisp and the tomatoes not to lose their juice. Wow, what a fun and unique idea! Wow this sounds great! What a delicious flavor combination! Thanks Liz, and chicken sausage sounds yummy too! I can’t wait to make this! 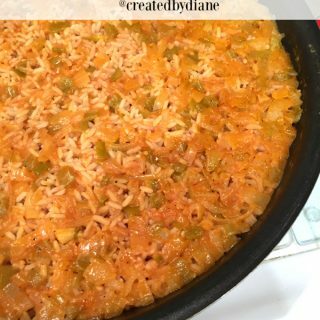 My husbands mother use to make her coleslaw close to this but with small chunks of sweet apples. I think adding the bacon and tomatoes with be awesome not to mention the burst in flavoring! Thank you so much Diane!!!! 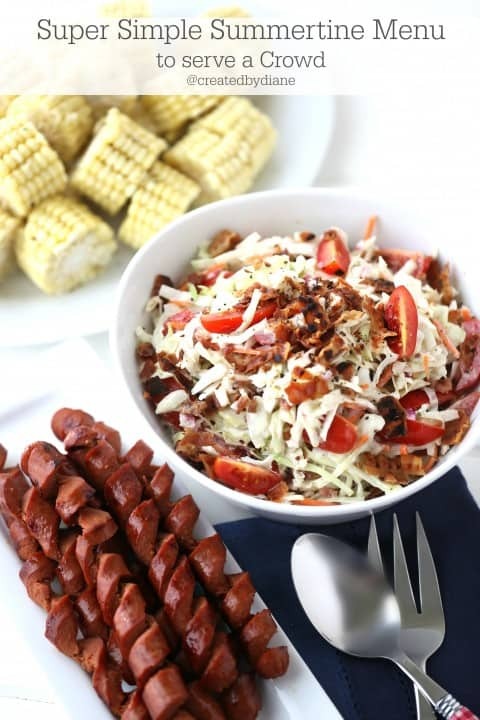 I just love coleslaw and this recipe looks amazing and those hot dogs are just too cute.